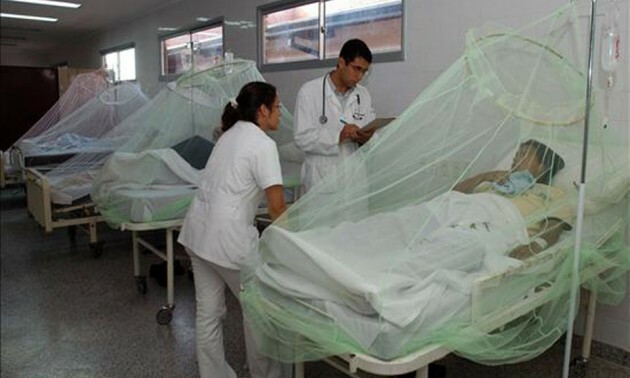 The return of malaria to Venezuela almost half century after the World Health Organization confirmed its full erradication is not new to this blog. In recent months the situation hasn’t improved much and it could even become a bigger public health problem as the disease is now approaching urban populations. The Guardian’s Virginia Lopez (who, to be clear, is on the sane journalistic side rather the crazy editorial side of the paper) presents us the case of the small town of Quilombo (45 kms away from Caracas), where several cases of malaria have been recently diagnosed. Lack of proper sanitation in the area was considered as a possible trigger, but the efforts of Miranda State Health Department (thorugh fumigation and giving mosquito nets) have contained the situation. There’s even discrepancies in the number of cases registered: Miranda State Government reported 32 cases while a Health Ministry source recognized only 17 . In its World Malaria Report 2013 (published last December) the W.H.O. put Venezuela as one of the three countries in the world where malaria is growing (the other two were Algeria and our eastern neighbors Guyana). But if you go to the State news agency AVN, everything is under control. Funny that the same week that article went online the official Epidemiology Bulletin from the Health Ministry put some serious doubts on AVN’s headline.